Midtown Children of the Blog! Raph here, with a little interview. Wolverine and Cyclops have ended their on-again, off-again bromance. Wolverine has taken a couple of key X-Men and most of the kids back to Westchester, to allow them to learn and be children. Scott, meanwhile, has dug in at Utopia and promises to defend mutantkind by any means necessary. 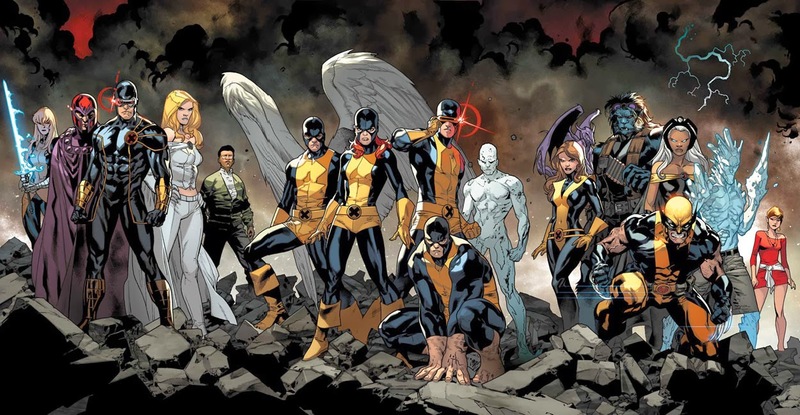 All the while, the X-Men’s enemies salivate and move in for the kill… this is X-Men: Regenesis. And my good, ol’ personal best friend (He doesn’t like acknowledging it) Nick Lowe was kind enough to answer my questions for YOU, the Midtown Comics Bloggerino, Bloggerucci, Blog- … you.